Aquatic ecosystems in the southwestern US are among the most threatened in the country: rates of species loss are high, with few remaining refuges for natives, and water extraction for human use and diversion for power generation impose major demands on the defining feature of aquatic ecosystems: water. Work at Ecoss assesses how changes to aquatic ecosystems affect their functioning, from a community and ecosystems perspective. 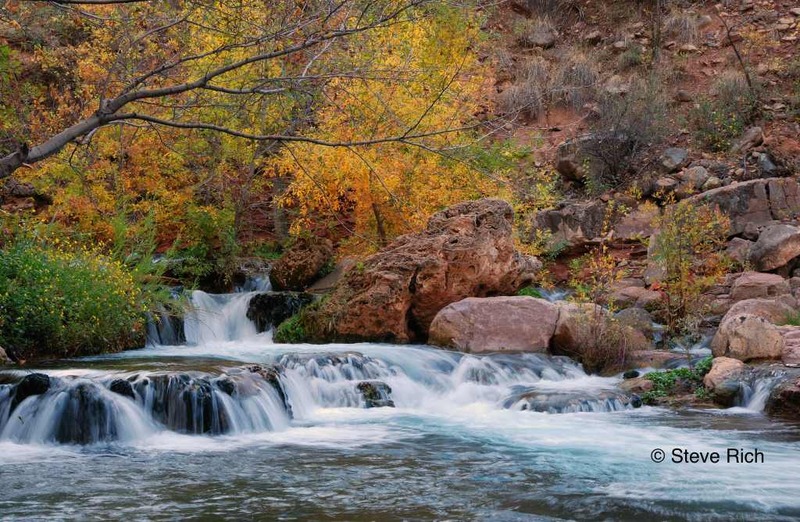 Our work has involved two major ecosystems in the southwest: the Colorado River, where the Glen Canyon Dam has completely altered the river and its foodweb, and Fossil Creek, where removal of a hydropower dam and extirpation of exotic species has caused a native foodweb to flourish. Our work also investigates the impacts of riparian plants and river functioning, focusing on how the types of plants affect microbial processes, nutrient cycling, and the performance of insect communities so essential for higher trophic levels and energy exchange between the terrestrial and aquatic environments. Our work on leaf litter effects on stream ecosystems includes organic matter processing, leaf retention and litter decomposition of cottonwood cross types, influence of leaf litter cross type and genotype on aquatic insect emergence, influence of exotic crayfish on aquatic insect emergence, riparian leaf litter influences on carbon and nitrogen transfer to aquatic insects, microbial function, as well as fungal and bacterial abundance. For more information, click here. 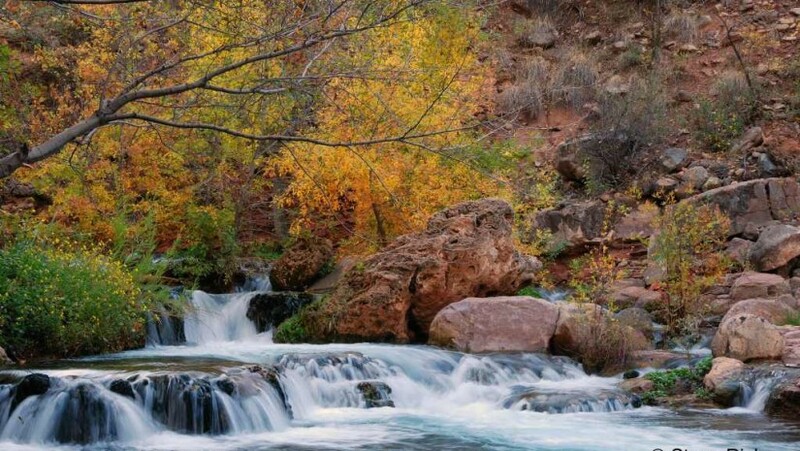 Our work on stream restoration has focused on Fossil Creek, a spring-fed perennial stream that was dammed for nearly a century for hydropower production. The hydropower facility diverted the majority of Fossil Creek’s flow out of the creek bed. The restoration had three major components: First, in 2004 a fish barrier was constructed upstream of the confluence with the Verde River. Second, non-native fish were removed from a large section of the river using antimycin A, a chemical that targets fish. And lastly, in June 2005, full flows were restored to the creek and the two associated hydropower plants were decommissioned. Our research has focused on aquatic insects, native fish population dynamics pre- and post-restoration, invasive crayfish, leaf retention, geomorphology, stream metabolism and restoration, and native/non-native interactions. For more information, click here. This research is being conducted by Jane Marks.